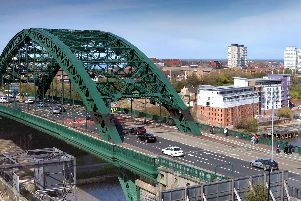 Northumbria Police has seen its officer numbers reduced by 1,038 since 2010 as a result of 'significant budget reductions'. Chief Constable Winton Keenan revealed the huge drop in numbers in an open letter discussing the budget cuts the force has had to cope with. Chief Constable Keenan said the force had made savings of more than £142million since 2010-11 because of cuts to funding it receives from the Government. The National Police Chiefs’ Council lead for Finance and Resources, Chief Constable Dave Thompson, yesterday (Wednesday) raised concerns about the realities of budget cuts to policing.